The JATC has taught high voltage cable splicing to its journeyman members since the 1970s. 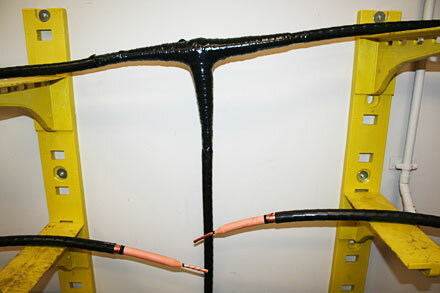 In this lab individuals learn hand taped splices and terminations, tee splices and cable splicing safety, high voltage testing and fault locating. An individual would have to take this course twice before being able to take a test to certify as a high voltage cable splicer.